When we organize a face-to-face program, on, say, starting tomatoes from seed, we are pleased if we get 30 people to attend, and delighted if the audience tops 50. Our views for the videos here on CAMGA.net, on the other hand, routinely number in the hundreds, and it’s not at all unusual for a video to register more than a thousand views. Can you say “impact”? Simply put, there is no channel of communication available to us that compares with streaming video in terms of the raw power to get the word out. So let’s put it to work, shall we? It’s hard to imagine any master gardener who doesn’t have valuable information to share, information that fledgling gardeners, and sometimes even experienced gardeners, are eager to hear. What is your story? What are those subjects you understand well enough to be a valuable resource to others? It may not be enough to fill out a CAMGA meeting program or a Lunch & Learn, but it doesn’t need to be. Our videos will all be less than four minutes in length, so your topic can (and should) be narrowly drawn. We have created a specialty channel just for CAMGA on YouTube, entitled “Stubborn Old Gardeners.” We will produce videos for it that follow a consistent format, and we hope the channel will build a loyal and interested audience over time. If you’re curious why we decided to use YouTube, here’s an explanation. Curious whether you might be ready to dip your toe in the water? Take a look at 8 Steps, 8 Hours To Your Finished Video to see if this makes sense for you. 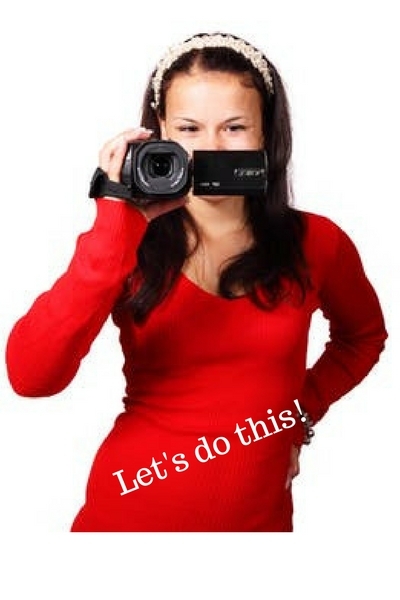 If it does, you’ll be ready to head to the page called Ready To Submit Your Video Idea? It will take you through the thought process step by step. If you decide to try it, we’ll hold your hand throughout the whole process. Next Next post: Our Very First Stubborn Old Gardeners Video!